A joint mortgage is a convenient way for more than one person to collectively buy a property. Although the majority of joint mortgages are most likely between spouses or civil partners, some types of formal business agreements between siblings. Joint mortgages can be complicated when one of the involved parties wants to get out of the joint mortgage. A primary tool in this situation is called a joint mortgage buy out, where one of the co-borrowers buys out the co-borrower. One of the most significant issues in buying out of a joint mortgage is the critical agreement on how much equity the co-borrower has in a home. For the most straightforward buying out process, borrowers usually assume they have been equally involved in paying off the mortgage to date. With that resolved, the co-borrowers must determine their equity in the property, the property's current value, and how much is a fair and reasonable buy out amount. In establishing a buy out amount, the co-borrowers may seek a new property appraisal. A professional appraiser will tell the homeowners how much the property is currently worth using concrete criteria. A critical legal documents that will facilitate the buying out process is a quit claim. It allows the party who is not opting out to assume ownership of the property. It is also called an inter-spousal grant deed when the 2 parties are spouses or were spouses of the time the agreement was made. After the paperwork has been completed, the existing property owner will need to refinance the mortgage to reflect a single borrower, rather than a co-borrowing process. It's critically important that the remaining property owner know that he or she has the required amount of annual income, assets, or good credit to qualify for the mortgage on their own. If the original mortgage rested on the borrowing power of more than 1 borrower, it can complicate the buying process. 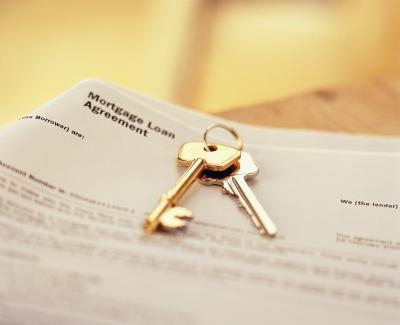 Some of the professionals involved in the lending field see the issue of joint mortgage buyouts chiefly as an issue based on and reflected by the rates of divorce. If 1 in 2 marriages eventually ends in divorce, as some statistics indicate, that adds up to a lot of mortgage buy outs. Divorce attorneys are a class of lawyers generally knowledgeable about the ins and outs of a mortgage buy out. These professionals often fold the mortgage buy out into a larger equitable division of all of the household finances. The parties going through the divorce will be likely to rely on their divorce lawyer to make sure the mortgage buy out process, like everything else, is negotiated properly.